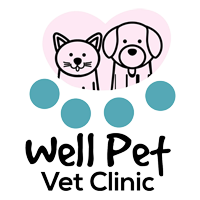 Well Pet Vet Clinic offers our patient form(s) online so you can complete it in the convenience of your own home or office. If you are a military service member or veteran and would like to enroll in our military discount program, please fill out this form and bring it in with proper identification. Client must present military ID or DD 214 form to complete enrollment. Please fill out this form and bring it to your appointment. Let us know where you are traveling when you book your appointment!